Just a couple of hours of drawing practice. 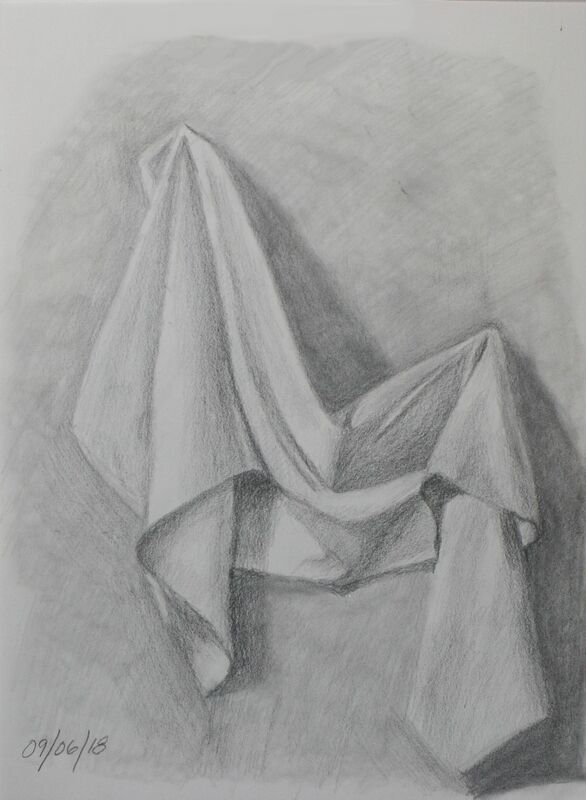 Drapery is always a good still life for drawing practice. Just a quickee from last night. Not much else to say about it. Spent a lot of time yesterday working on outlines for a couple of novels I’m working on and just needed the break with a little art. 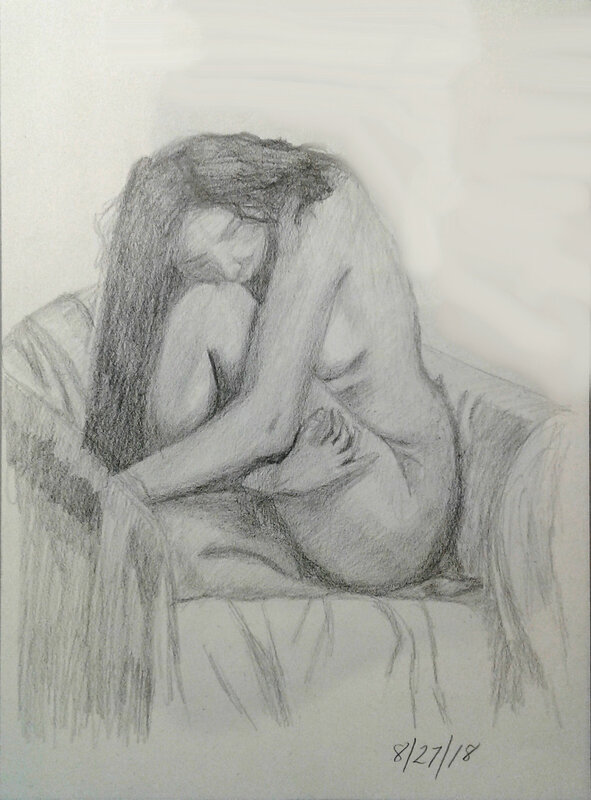 A quick (3 hours) figure study this evening. This is just an 8×10″ on wood panel, but I am thinking about doing this as a much bigger piece, such as on the 36×36″ canvas that is waiting on my easel for something to be painted on it. I actually did this one yesterday, right after doing the small practice piece. I had some paint left over and decided I wasn’t nearly as painted out as I thought I was, so I grabbed another panel and went to it. This came out much better than the first one, but that’s probably because it’s bigger. 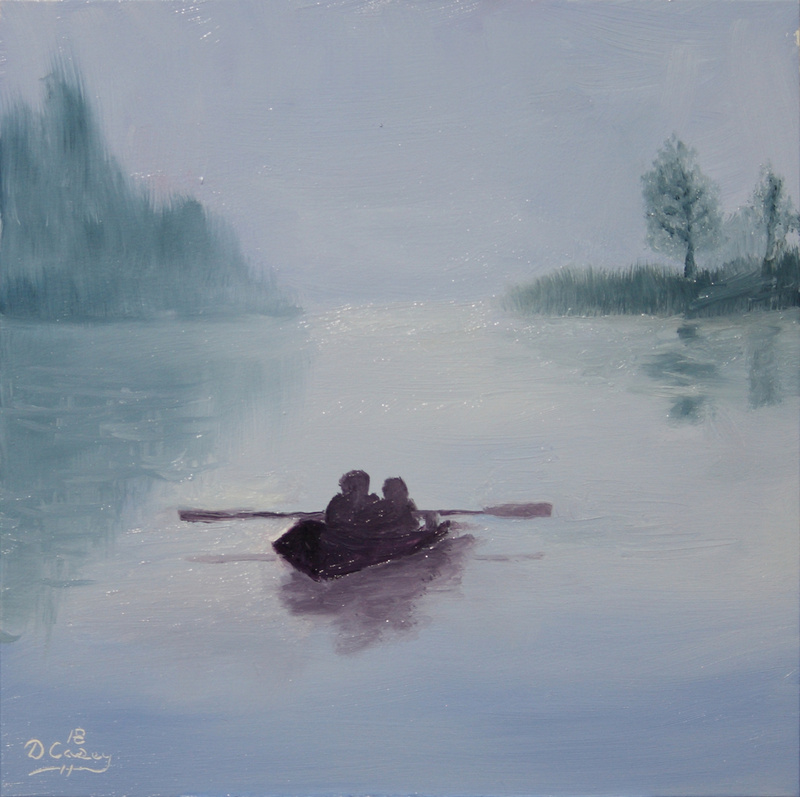 The other one, being on 2×3″ is not nearly as easy to paint on as one might think. I find it much easier to paint on larger surfaces. I’ve been working so hard on my novels lately that my painting time has gone by the wayside. I still try to do some drawing, but painting is something I don’t do nearly as much as I would like. 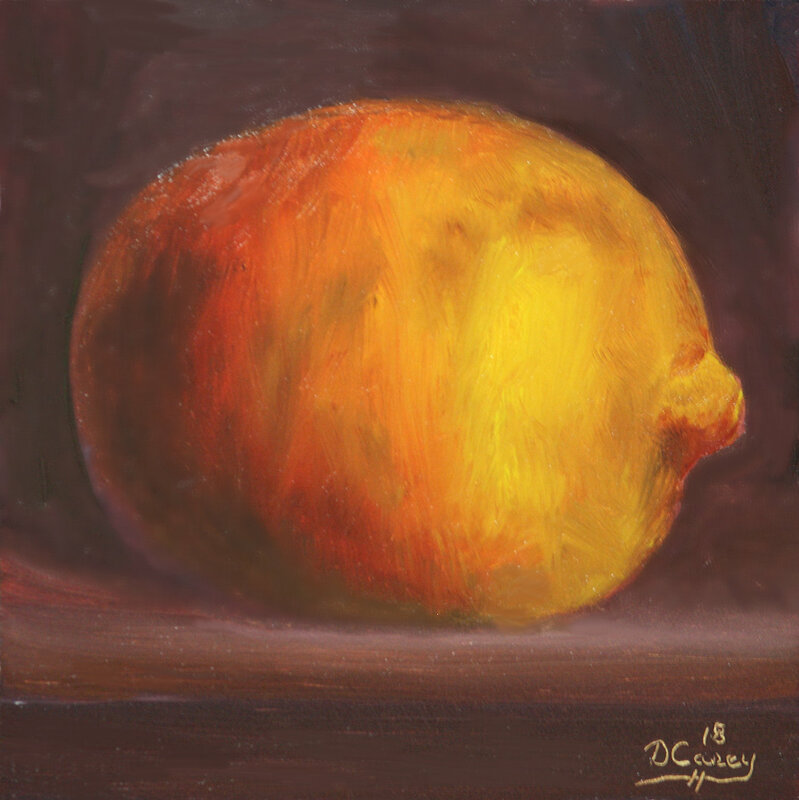 So, today I was looking for something in the studio and came across some of my ACEO canvas panels and decided to do a quick painting. 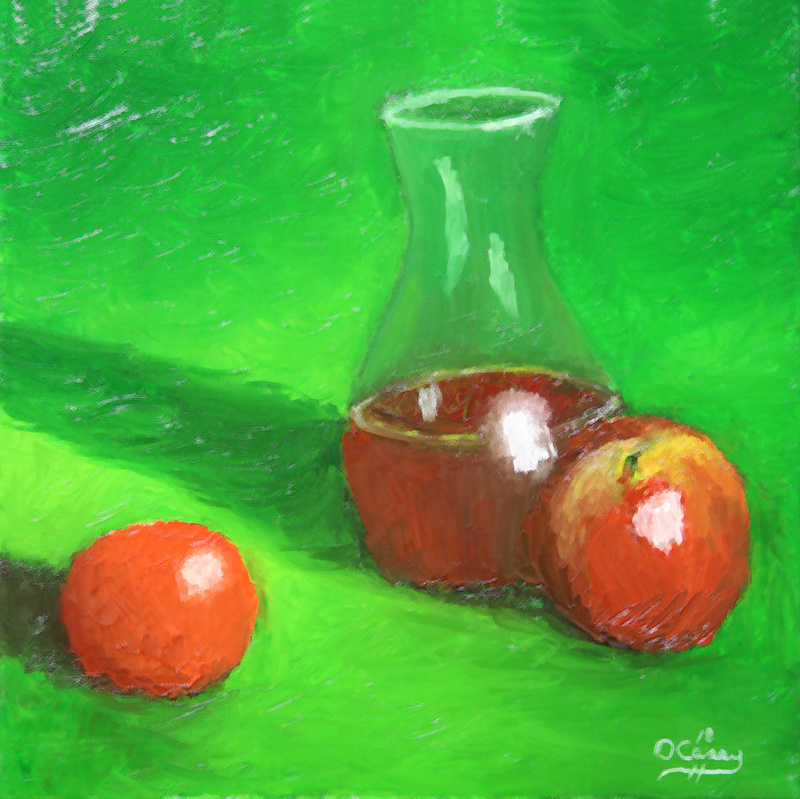 For those not up on the current art lingo, ACEO stands for Art Cards Originals and Editions. Do not ask me why it’s not ACOE. I don’t have a clue. Maybe I should just call them by their other name with is ATC or Artist Trading Cards, so called because they are the same size at baseball trading cards. Anyway, this is something I worked up just to get my brushes back in my hands. I have a 36×36″ canvas sitting on my easel behind me, just begging me to do something with it. I’ll get to it. Just another practice session, with some mindless drawing. I was just listening to some epic battle music on Youtube and decided to do a drawing from memory. I need to get back to writing a couple of days (July Camp NaNoWriMo) and won’t have a lot of time for drawing, but I’ll try to find a few minutes each day. It’s been over a month since my last post, so today was just practice day. I’ve been getting in a little practice over the past month, but I’ve been spending a lot of time with my “Writer” hat on. I have a month long writing challenge coming up in July and I’m busy with working on outline for two or three novels I’ll work on next month. I also just released my first horror novel, Beware The Boogerman, last month and I’ve been working with that. 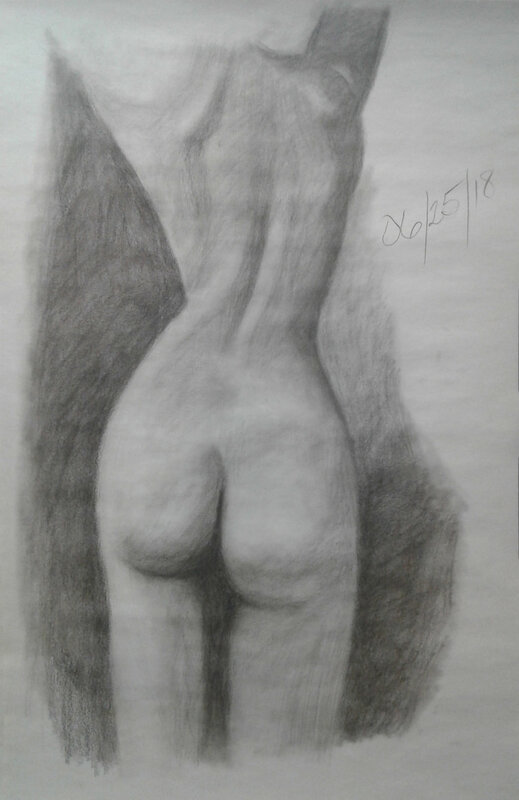 Anyway, today, I just wanted to take a break from writing and pulled out the charcoal and practice pad and went to it. I like it, but I can see that I’m a bit out of practice. What I really need to do is schedule some time each day to be an artist, either before or after my writing time. Just wanted to take a break today from writing and editing my current novel and wanted to get a painting done. I wanted to do something a little different, so I broke an instructional video that I bought a couple of years ago. I’ve always like the look and feel of a David Cheifetz painting and wanted to see how I would do with his expert tutelage. I like it. I did this one with about 95% palette knife and ended up piling the paint on thick. I think I’m going to repeat this paint in a day or so, but with brushes. Maybe change the color scheme, too. Decided to take a break from writing today. writing yesterday’s battle scene was exhausting. And it isn’t even finished. Battles tend to drag on when you introduce fire-breathing dragons to the mix. Anyway, another lemon today. This one done without any kind of reference. No still life, no photo. Just from memory. I like it. Day number three of the Challenge. Still not producing the kind of work I know I can, but by the end of the month, I should be back to where I am happy with my work.